This June, over 120 volunteers from across America came together at the League of American Orchestras’ National Conference for three days of sharing, learning, and inspiring, all in the goal of supporting symphony orchestras. For those who came, it was a privilege to meet you and to spend time discussing the great work that is being done in your organizations. As a group of strong compassionate volunteers, we do make a difference. And as each volunteer association goes into another year, and as leadership turns over in your organizations, there will be new goals and challenges - and we hope that the information and networking gained from Conference will be an asset. I also hope that each of you will take advantage of the resources in volunteer section of the League’s website, share your successful projects by submitting to goldbookonline.org, and begin making plans to attend the National Conference in Cleveland, May 26-29, 2015, now. It has been an honor to serve as president of the Volunteer Council this year. I must thank the group of special leaders on the Volunteer Council, who possess vision and dedication to working with other volunteers. Our mission is volunteers helping volunteers, and they embody that. Additionally, a special thank you to League staff Samara Ungar, Polly Kahn, and Jesse Rosen, for their support and guidance this year. “There’s always a first time for everything,” or so the saying goes – and the League of American Orchestra’s 69th National Conference overflowed with firsts for our volunteer delegates. If you attended the Conference in Seattle, you are probably already in the know. If you couldn’t join us this year, here’s a brief overview of what happened… AND what happened for the first time! • Gold Book Awards of Excellence: the best of the best projects from 2012-2013 were presented, and table discussions followed each of the nine award-winning projects’ presentations. • Showhouse Best Practices – Something for Everyone: four Gold Book Award-winning showhouse projects were featured in a panel discussion focusing on the fundamentals that can make any project (showhouse, petting zoo, or membership drive) successful. • Dine Arounds: these Dutch treat small dinner groups are always in high demand. This year, volunteers dined at some of the best Seattle’s vibrant dining scene had to offer – two nights in a row. • Roundtables: top projects from 2012-2013 were presented in an expo-style setting, with 14 groups presenting in two fast-paced sessions. Four 12-minute rounds, with a change-up of topics in the middle, kept the room swirling with activity until the very end. • Networking Lunch: volunteers gathered for a delicious lunch and exchange of ideas. • Leadership Programming: we offered insights into how to better run your organization, including board development, nominating, membership, finance, strategic planning, and more. • introduced the Conference registration family plan: volunteers and board members could register three or more delegates from a single orchestra for $1,200. It paid off handsomely for many. • introduced polling technology into the Gold Book Awards of Excellence sessions: thanks to Purdue University for providing us with polling clickers and reporting software, we were able to capture audience behavior and sentiment following each presentation with real-time display of the results. Everyone loved to click. • opened our traditional volunteer-networking luncheon to all delegates. This luncheon featured the Classic Award-winning, 46-year-old Peoria Symphony Guild’s puppet troupe. Attendees were treated to a behind-the-scenes look at what it takes to enthrall primary schoolers with Hansel and Gretel, and Peter and the Wolf. • initiated a dine-arounds competition for the best solution to pre-determined topics. 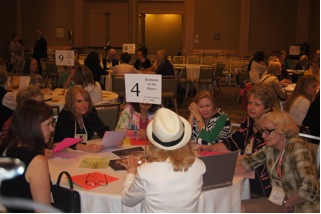 Each evening, best ideas per table were judged by Volunteer Council sustainers. Prizes were awarded, nightly, for the overall best idea. • designed and implemented a competitive board game to educate volunteers about volunteer organization governance. We took a very dry (for many) leadership training subject and turned it upside down/inside out. Dice were flying in all directions, discussion never stopped, there were chocolaty prizes, and the winners were not at all humble. • curated our first open to all-delegates Elective session – Grassroots Fundraising: Partnerships Between Volunteers and Development. We identified the content and panel participants, and Stacy Wilson Margolis, vice president of development, League of American Orchestras, took the lead from there with expert coaching and moderating. We were delighted to see that this particular Elective was standing room only! The League has placed copies of Conference session handouts and presentation slides on their website. If you want more information about sessions you attended, this is the ideal place to review presentations and find contact information for presenters. If you didn’t attend Conference, you will find the session materials online are the next best thing to being there. There are video and transcriptions from several sessions, as well as opening and closing session performances. Materials from constituency group meetings, including the volunteer track Roundtable handouts and Awards of Excellence presentations, pre-Conference sessions, and Elective sessions are all there. Check out this amazing resource and share it with others in your volunteer organization. • Join the Discussion – Subscribe to League360 and enter the volunteer group. • Submit Your Projects – We welcome every project for our searchable archive at goldbookonline.org. • View a webinar – Check out our library of webinars, written and produced by volunteers for volunteers. Our newest webinar is called Fundraising Fundamentals: An Introduction to Grassroots Fundraising, and as always these webinars are available to you free of charge through the League’s website. Sorry you missed Seattle? Be sure to mark your calendar for the League of American Orchestra’s 70th National Conference: Cleveland, May 26-29, 2015. Welcome to the New Gold Book! We are Now Accepting Submissions! We are proud to announce we are in the beta-testing phase of the new and improved Gold Book website. We invite you to be among the first to take it for a spin - search for new project ideas, add your own projects, and let us know your thoughts. In case you are unfamiliar with Gold Book, it’s all about sharing, learning, and volunteers. The purpose is to highlight volunteer organizations’ projects, and provide successful examples for other organizations to adapt and follow. Gold Book is a treasure trove of good ideas in the areas of fundraising, community engagement, audience development, membership, technology, education, service to your orchestra, and leadership/organizational structure. As we fine-tune the new site, we hope you will find it to be the go-to resource that Gold Book has been for nearly 40 years. And YES! We are now accepting submissions for Gold Book Awards! Submit your 2013-2014 projects* by September 2 - the most outstanding projects will be selected by the Volunteer Council, and awardees will present at the League’s National Conference in Cleveland. The new Gold Book site makes it easier to submit – all you need to do is register and fill out the submission form. *To be eligible for an award, your project must have been completed between July 1, 2013 and June 30, 2014. The Volunteer Council would like to recognize recent awards received by orchestra volunteers. 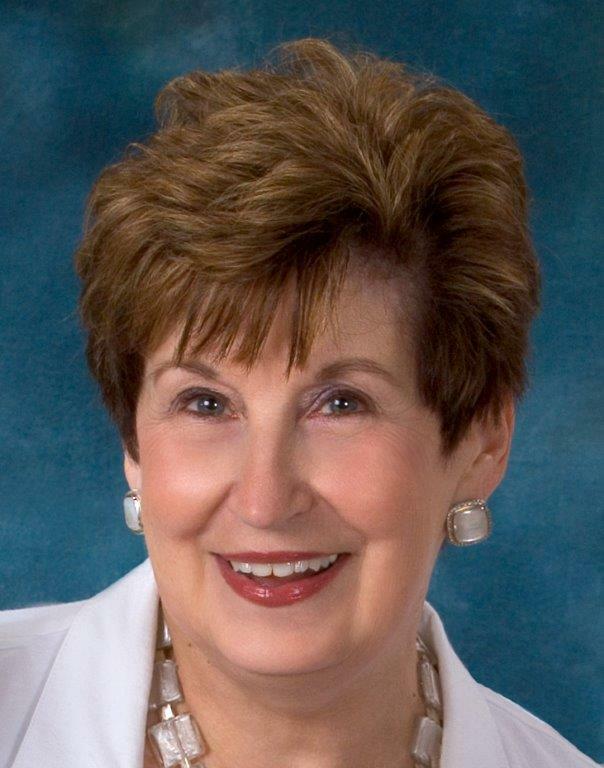 Former Volunteer Council member, Laura Street of Amarillo, Texas, is the recipient of the 2013-2014 Texas Association of Symphony Orchestras (TASO) Volunteer Award of Excellence. Winston-Salem Symphony volunteer, Diane Shelton, is the recipient of the 2013-2014 Virginia Dossinger Volunteer of the Year Award. Former Volunteer Council member Jane Van Dyk was awarded the 2013-2014 Montana Association of Symphony Volunteers (MASO) Award of Excellence. We congratulate Laura, Diane, and Jane for all they do and for the well-deserved recognition they have earned. We congratulate all of you for the volunteer service you provide to your home orchestras. They couldn’t succeed without the time and talents you so generously give. About a dozen years ago, the Lafayette Symphony Orchestra board asked me for help. I was a development director at our local university, and the symphony needed assistance with its fundraising. It took me about a second to say yes. Although the board member who called would have no way of knowing it, I had played the piano in high school and college many, many years earlier. He tapped a long-lost love. So I joined the symphony’s volunteer association and its board, and enjoyed the experience immensely, especially meeting new friends who shared a passion for music and whom I never would have known otherwise. A few years later I was elected president. It was a time of significant transition for the orchestra: we were searching for a new music director, addressing musician compensation, and facing other challenges. Honestly, I didn’t have the experience to effectively deal with these issues. One day I picked up the phone and asked for assistance which I received on the phone and in two follow-up visits to our mid-western community. Do you know what I really learned from all of this? Two things: one, the challenges our orchestra was facing are common challenges shared by all orchestras; and two, the League was there with outstanding leadership and resources to help us. As the incoming president of the League’s Volunteer Council, I want you to know that you can count on the Volunteer Council for valuable support for the work of your volunteer associations. I would like to personally invite new presidents and presidents-elect to join Linda Weisbruch, our president-elect from The Symphony Guild of Charlotte, and me for our Strategic Conversations this fall. This conference-call series consists of six 60-minute calls on the following Tuesdays at 3:00pm EST: September 23, October 7, October 21, November 4, November 18, and December 2. Together we will talk about governance, leadership, membership recruitment and retention, fundraising, and other topics. Agendas and resource materials will be emailed in advance of each call. To register for this Strategic Conversation, please complete the following online form no later than September 12, 2014. Limited space is available, in order to keep these conversation groups intimate, so sign up early and join the conversation! If you book before 11:59pm EST on August 15 and enter the discount code VOLNOTES you will receive a 20% discount on this Strategic Conversations series. This $40 rate is being offered in this issue of Volunteer Notes exclusively, as a thank you to our readers.